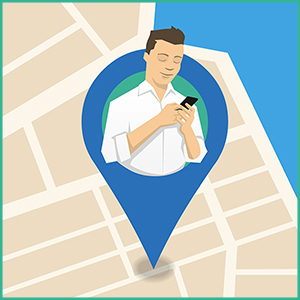 How accurate is smartphone location? It depends. GPS-enabled smartphones are typically accurate to within a 5-meter radius under the open sky. But dense urban environments can impair the location accuracy by over 30m! The Anagog Positioning System (APS) is unique in its ability to improve location accuracy in dense urban areas and can reduce the average location error from 25m to 13m.